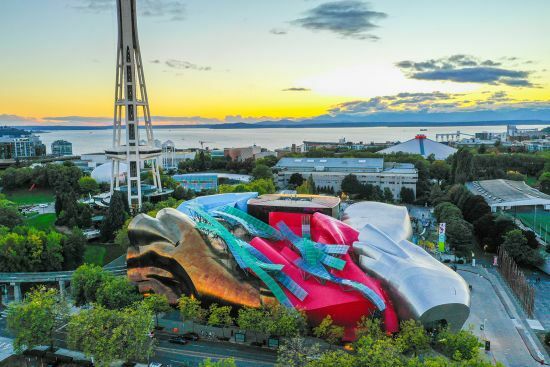 From the visually spectacular Bumbershoot festival to the International Film Festival, Seattle is a great place to sail into this summer. 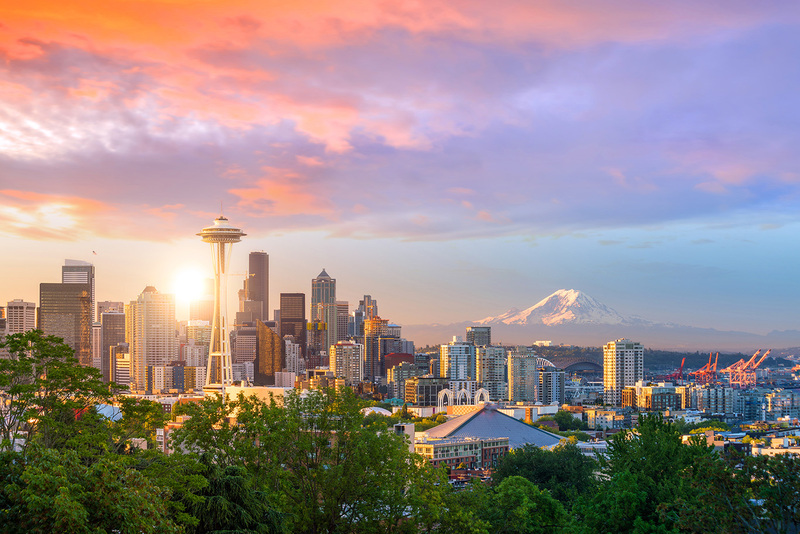 Seattle has always been a little different from the rest of the USA; a city with an off-kilter spirit where entrepreneurs, creatives and caffeine aficionados mix to share their dreams and ideas. Its gifts to the world include Jimi Hendrix, Nirvana, Boeing, Amazon and Starbucks. 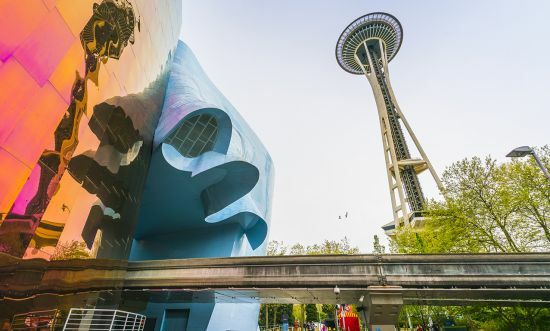 From the visually spectacular Bumbershoot festival, held over Labor Day weekend, to the Seattle International Film Festival, there’s always something to see and do. Sail in with Oceania or Norwegian, and you’ll dock at Pier 66, right in the centre of the action. Most other cruise lines use Pier 91 – aka Smith Cove – but even then you’re just a 10-minute bus ride from some truly world-class attractions. Wondering how to see them all? With our handy guide, you won’t miss a thing. 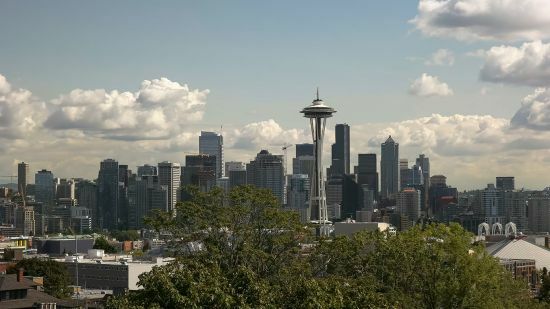 The birthplace of bands including Nirvana, Pearl Jam and the rest of the grunge scene of the 90s (not to mention a certain Mr Hendrix), Seattle has also been the star of many a movie (anyone feeling Sleepless?) That makes it the perfect location for this immersive, interactive, gorgeously designed museum, packed full of pop-cultural delights. 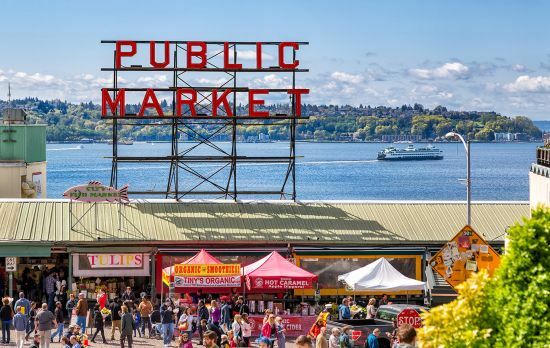 For an authentic Seattle experience, you can’t beat this historic covered market with its famous flounder-flinging fishmongers (no matter how slippery the skin, they never fumble the catch). 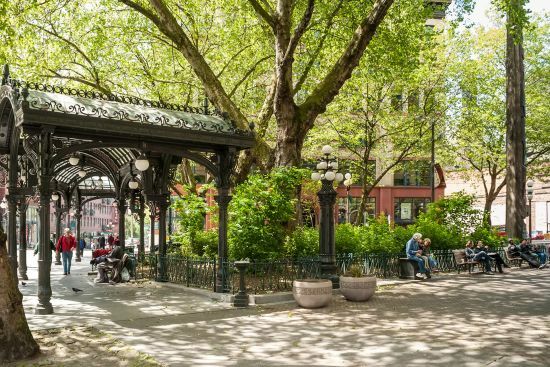 Add street performers, hundreds of stalls selling homemade trinkets, and the world’s very first Starbucks (preserved just as it was, way back in ’71) and you have the city’s beating heart. Just make sure you stick a nickel in Rachel the Piggy Bank before you leave (all the money goes to local charities). 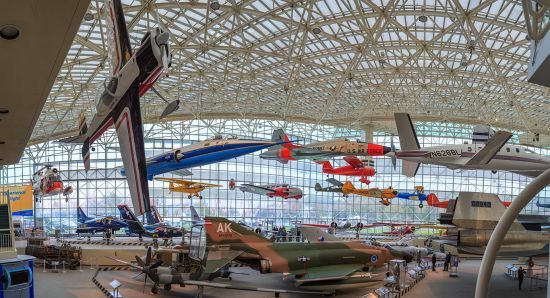 Stretch your wings at one of the world’s biggest and best aviation museums (above). With thousands of exhibits, ranging from interactive flight simulators to a real live jumbo jet and even a Concorde, there’s something to enthral visitors of all ages. And if you get there this summer, you’ll catch a brilliant exhibition telling the story of Apollo 11 – the mission that put mankind on the moon. World’s Fairs – all flag-waving and futuristic gadgetry – tend to be here today, forgotten tomorrow. But the one that visited Seattle in 1962 left a lasting impression. The Seattle Center Monorail was built to convey the crowds between attractions and it still runs to this day, remaining the perfect way to get around this green and pleasant city. The historic centre of the city, where settlement began in the 1850s, is well worth a picture or two, its Romanesque Revival architecture making a handsome setting for today’s clutch of trendy cafes, galleries and bars. Seattle’s own world-famous icon, the Space Needle (above) has been delighting tourists since 1962, when it was built for – you guessed it – the World’s Fair. Reaching 184 metres into the sky, it affords a fine view from the Observation Deck (and while you’re up there, grab a bite from the Atmos Café). Down at Pike Place, another highly distinctive Seattle attraction has been growing, quite literally, since 1993. 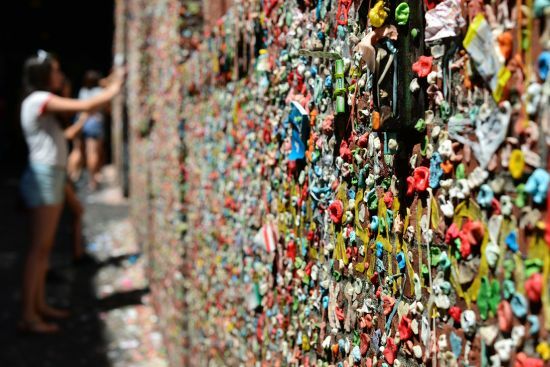 If you want to leave the city something to remember you by, just chew and stick (well, it’s better than dropping your Wrigley’s on the sidewalk). Seattle has plenty of excellent restaurants, particularly if you love seafood (sourced straight from Pike Place, of course). But when it comes to local cuisine, you can’t look past a cup of Joe from the world’s most famous coffee chain. 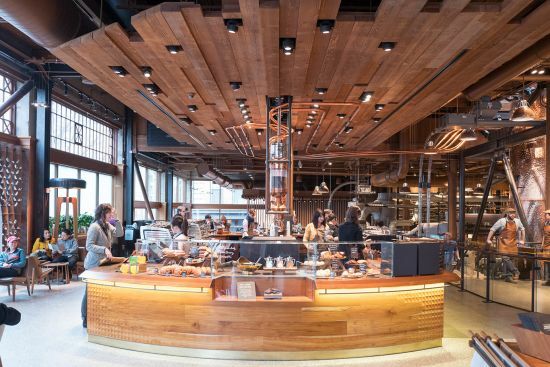 For the full experience, visit the Starbucks Roastery on Pike Street, where you can tour the museum before settling down with your double decaf caramel latte. If quirky boutiques are your style, stroll over to Ballard Avenue (good for craft beers, too). And if you just want to pick up a souvenir, Pike Place Market is once again the place to be. 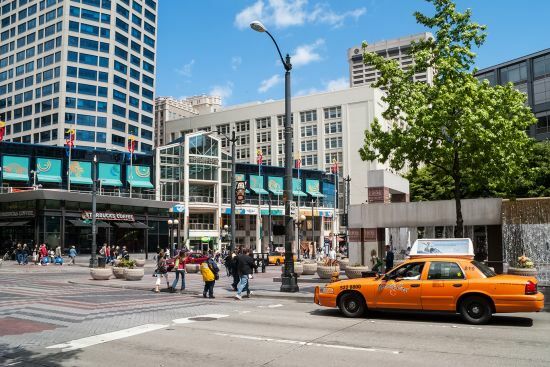 Alternatively, in downtown Seattle you’ll find the colossal Nordstrom clothing store, plus the Pacific Place and Westlake Center designer malls.